Ontenna is a wearable to put firmly in the life-changing pile. 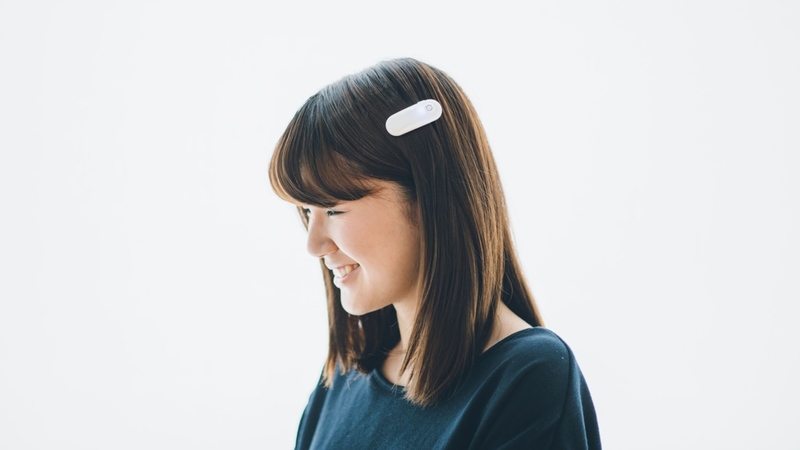 The barrette-shaped device that clips to your hair uses a microphone, light and haptic feedback to help the wearer sense sound through the hair. The device, which is designed with deaf people in mind, was shown off in prototype form last year and is now going into production with 1,000 units of the wearable set to be made available hopefully this year. It started life as a university project by Fujitsu user interface designer Tatuya Honda who compared the way the tech works to how the whiskers of a cat can sense movements in the air. The key here is that it doesn't function like a hearing aid replacement letting the user hear, but instead reacts to the rhythm and loudness of a sound. So if someone is shouting, the wearable hair clip will vibrate harder. The Ontenna will apparently offer 256 different levels of feedback and works in a similar way to bone conducting headphones. The key difference is that it that it's moving that tech to the hair as opposed to the skin. Apparently using the tech on the skin was looked at as well designing something that worked on clothes but ultimately the hair provided the best position for the wearer to sense the sound. Ontenna will be available in two versions; A larger model will connect to a companion app via Bluetooth and there will also be a smaller version minus the Bluetooth connectivity. Pricing-wise the aim is to get it under the $100, which doesn't mean you'll have to break the bank to own this smart hair clip.